Alfenloch Rough Collies and Shelties has become a source of world-renowned quality Collies and Shetland Sheepdogs, known for their genetic purity and prepotency. Our goal has always been to produce a line of Rough Collies and Shelties with beautiful eyes and expression and exceptional type and beauty, with a very recognizable look. 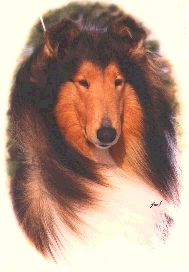 Alfenloch Rough Collies and Shelties are the breeder of two top sires; Am/Can Ch. Alfenloch Masterpiece AOM ChP, one of the top Collie sires of International champions in Canadian breed history, with 60 Canadian, American, Japanese, Asian and Bahamian Champions to his credit; also,Am/Can.Ch. 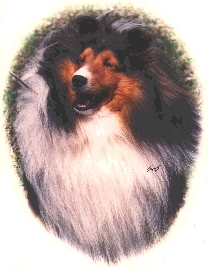 Alfenloch Ryan O'Neil ROM ROMC, the top Canadian bred/owned Shetland Sheepdog sire in Canadian Breed History with over 115 Canadian and American Champions on his record.